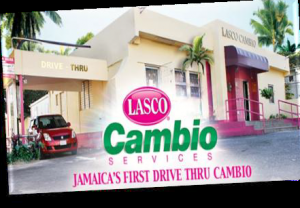 Lasco Financial Services is reporting improved profit of 20 percent for the June quarter this year, compared with the year ago period. The improvements emanate primarily from a 23 percent growth in revenues. Profit for the latest quarter ended at $47.3 million up from $39.3 million in 2013, with revenues coming out at $177.57 versus $145 million. Expenses grew by 23.6 percent, due mainly to a 32.6 percent increase in selling and promotional expenses that ended at $76.4 million, in the quarter. For the last fiscal year to April, Lasco reported $176.7 million in profit, from revenues of $629 million. Profit for the current year should end up around $250 million or 20 cents per share, with increased revenues and reduced marketing cost. Last fiscal year the company increased its marketing spend considerably over the previous year, the added cost contained the level of profits that would normally have been made. “Advertising cost this year is expected to decline from the high of last year, since we will not require as significant an investment to drive growth for this period” Jacinth Hall-Tracey, Managing Director stated in a release with the result. The company has assets of $880 million, up from $690 million at the end of June last year and $812 million at the end of April this year. The stock remains Buy Rated. With the present price around a $1 per share and the earnings above should put a potential price of $1.60 within reach.